After 14 years at the French Football Federation (FFF), Gérard Prêcheur was appointed Lyon coach in 2014 with the aim of winning their third UEFA Women's Champions League title. On Thursday he could achieve that ambition. A second straight French double under his charge having been secured, Prêcheur's attentions are now on Thursday's Reggio Emilia final against Wolfsburg, who dethroned Lyon in 2013. He spoke to UEFA.com about his approach. UEFA.com: In the semi-finals, you put in a spectacular performance to beat Paris Saint-Germain 7-0, although it's been spectacular throughout the season. What is that down to ... the squad? Gérard Precheur: Yes, it's down to the squad. And at the risk of sounding arrogant, when I arrived, there were certain aspects of the game for which I fought for many years at the federation; at Lyon I've had the chance to put them into practice. And these aspects of the game have always been the same, with individual and collective technique providing the basis. In women's football there's a tendency towards attacking football, and I have the players who allow me to implement that. We've been following these guidelines for coming up to two years since I arrived. Last year we managed to break all the previous records for goals scored in the various competitions, excluding the Champions League of course [where they lost in the round of 16 to Paris]. That has continued this year, and maybe a bit more so in the Champions League, and in that match against Paris Saint-Germain everything fell into place and it was a great win for us. UEFA.com: Could you imagine winning by such a big margin? Precheur: No, never. You can't, not even in the most optimistic, positive predictions. You have to be humble. We'd prepared in a certain way for that match, we had a certain philosophy, and the fact that PSG had quite a high defensive line was because they wanted to score that away goal. They played a more attacking game than they usually do, and they left plenty of space for us in behind the defence. As we'd been working on how to make the most of space behind the defensive line for three weeks, both aspects combined together made the game go in our favour. And if you add to that the fact that it was in a big stadium, all the conditions were there. The players were motivated, and their individual brilliance can produce performances like that. 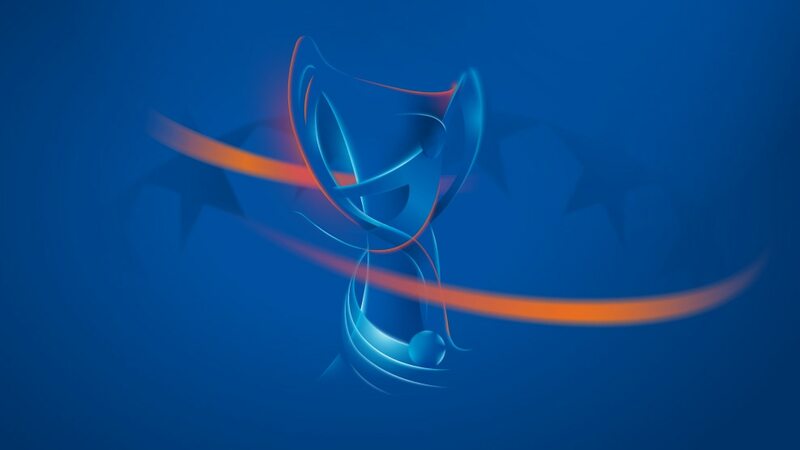 UEFA.com: Does the fact that you won the semi-finals so brilliantly make you favourites for the final? Precheur: Absolutely not. We know our strengths, but I can tell you that we also know our opponent's strengths, Wolfsburg. They are a prestigious club, and they've won this competition as many times as Lyon have. We know their squad, their players, and we know they're tough opponents. We know about our strengths too, but we are not quite favourites. UEFA.com: As a coach, what's it going to be like for you? The final is a special moment, so do you think it will be special for you as the coach of one of the finalists? Precheur: That hasn't been the case so far. I know there is always pressure for results at Lyon, and we accept that. We've only just become champions, and people are already talking about the next trophy. Since I've been coaching Lyon, I've only experienced one defeat, but there is hardly ever an interview where I'm not asked about it. So when you come to Lyon as coach, you already know you have an obligation to perform well. But what protects me from that pressure somewhat is the obsession I have for the game. I'm only focused on the game. There are two things which motivate me as a coach. On the one hand it's the human relationships I can have with the players, the coaching; and on the other hand it's the strategical approach to the game, how to come up with 11 pawns, like in a game of chess, how to make a team, and how to counter the strengths of your opponents with your own strengths. That's what is interesting. That's why I've devoted so much time to the idea of a game plan. I spent 14 years on the National Technical Board at the French Football Federation as a trainer and so I could exchange ideas with my colleagues and today it's all clear in my head, so that's what is interesting. It's about coming up with clear game plans as well as the means to execute them and be efficient. So when your mind is focused on the game, it is less focused on what is at stake. But I would be lying to you if I said that a few hours before the game my stomach won't be in knots, but it will be something positive.